By current norms, a pilot has to serve 6 months' notice although specific clauses depend on one's contract. 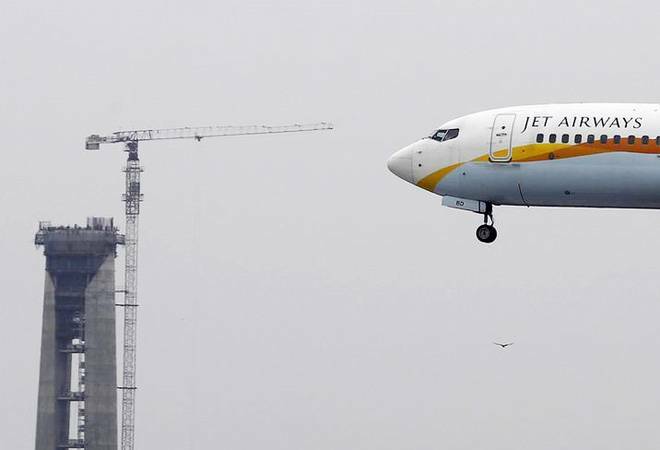 Jet Airways has given its pilots the option to leave the airlines without serving notice amid its financial problems. The airline is trying to cut capacity and operations to remain afloat. As the future of the airline remains unclear, many pilots have taken up on that offer. More than 50 pilots have resigned in the last couple of months. Many of them served a notice period of 48 hours, reports mention. Most of these pilots flew ATR turboprop planes since Jet has already grounded three of its ATRs and has plans to ground an additional six out of its 16 ATRs. However, a Jet spokesperson said, "We strongly refute observations regarding the indicated numbers, timeframe as well as the nature of crew departures. Attrition is a part of any organisation and at Jet Airways, it is well within industry norms. The company respects the personal decisions of its employees to pursue opportunities outside the organisation." As mentioned in a report in The Economic Times, the airlines said that they continue to run scheduled operations, with rising on-time performance that reflects growing operational reliability. Jet Airways' move indicates that it is trying to trim the number of pilots as rivals IndiGo, SpiceJet and Vistara are looking to hire more as well as retain their own pilots. Indian aviation that is speedily expanding has a shortage of experienced airline commanders. Jet Airways is undergoing one of its worst financial crises. It has been delaying salaries, grounding planes, and laying off staff members. The airlines' rating has also been downgraded by agencies. Its cash reserves have been severely impacted by its growing losses and debts. Meanwhile, the airlines has appointed McKinsey & Co to help turnaround its finances as well as its operations. McKinsey will advise the airlines on cost-cutting measures. Jet has also roped in Boston Consulting Group that will help it with revenue enhancement measures. The second-biggest airline in India operates 124 planes and has about 16,000 employees, including 2,000 pilots.